PDA Stat Portable Power Source from Vector. Unit comes the carry-with-you 110 volt a/c power source to use with your PDA STAT. 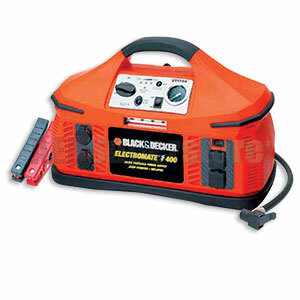 This twenty-three pound unit features a rechargeable battery pack with a 110 inverter so you may use a short extension cord in conjunction with PDA STAT. Experience so far indicates that the charge will run PDA STAT for over 4 hours. The unit also comes with an emergency jump-start device that has the added features of an air compressor and a florescent light.